Here is what I'll be working on this weekend. 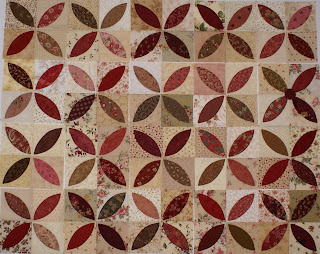 I'm still not sure what the finished quilt will look like but it will include more blocks than are on my design wall now. 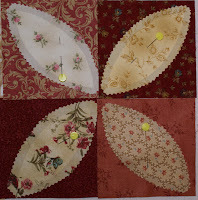 I am starting to work on these blocks to incorporate into the quilt. They are the reverse shading (dark background with light applique shapes).